“Dear Paul, I’ve moved in with Henry,” she wrote. Paul Saltzman, then 23 was “heartbroken.” He was in India filming a documentary. “I was crying, the pain was unbearable, that’s when someone suggested meditation to get over it,” says Saltzman. On a cold February morning in 1968, Saltzman, a Canadian who had travelled to India as a sound engineer for a film crew working for the National Film Board of Canada, stood at the gates of the Maharishi Mahesh Yogi ashram in Rishikesh, India. “I’m sorry, the ashram is closed because The Beatles and their wives are here,” said a man named Raghavendra, who brought Saltzman a cup of chai in an elaborate tray crowded with delicate china. “I just leaned against the gate with my backpack and my sleeping bag and drank the tea,” Saltzman recalls. On the eighth day, Raghavendra took Saltzman inside the ashram and taught him “a mantra”. At first, the Canadian struggled to tether his mind to the mantra; a barking dog proved distracting. He walked out of the meditation room and on to a tree-lined pathway where “there were birds and butterflies, you could hear the parakeets”. 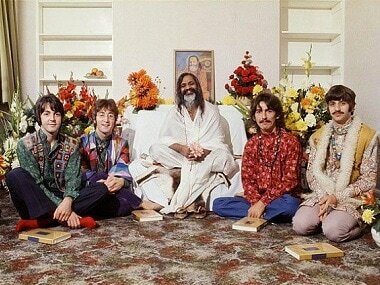 The Beatles, who were in Rishikesh to attend a transcendental meditation camp, wrote 48 songs in less than 7 weeks at the ashram — their single most creative period while they were together. Earlier this week, the Uttarakhand government announced that the ashram, which fell into disuse since 1997, would reopen to the public. This gave Firstpost sufficient reason to ring Saltzman in Toronto. 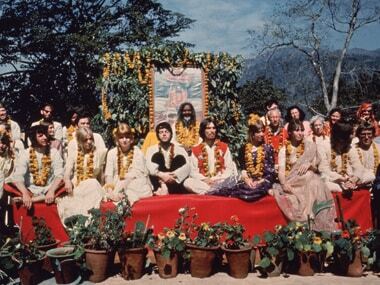 Here, he recounts his one “magical” week with The Beatles in Rishikesh. They were all there. John (Lennon) and Paul (McCartney) and George (Harrison) and Ringo, Jane Asher was there, Cynthia and Mia. They were sitting at this long table at the edge of a cliff that overlooks the Ganges. They were talking so I just stood there, waiting because I did not want to interrupt. Then John noticed me and I said “May I join you?” and he said “Sure mate, pull up a chair” and then McCartney turned to me and said “Come and sit here” and he pulled a chair in next to him. So, I sat down and when my bum hit the chair, I heard a scream in my head. “Eeeeek! It’s The Beatles.” That was the fan showing up. And before I could think, I heard another voice inside me saying, hey Paul, they’re just ordinary people like you, they fart and they’re afraid in the night. I literally spent a week with them and I was just one of them. They were not The Beatles, they were John and Harry and Ringo. I never thought, “Oh, I should take some pictures.” Never. John, in his dry, wry ‘British superior to the Yankees’ wit, says to me playfully, “You’re American then?” I said “No, Canadian.” So, John turns to the rest of the group and says “Ah, he’s from one of the colonies!” And then we were all laughing. Ringo and Paul stared teasing me about how we still have the Queen on our money. And I said but “she lives with you guys.” That’s when Cynthia, who was sitting at the end of the table said to the group, “Hey guys, let’s leave him alone for a bit, he’s only just arrived.” At which point John turns back to the rest of the group and says “Ah, you see, they still have a sense of humour in the colonies.” That was it, that playfulness. The fanboy was gone. They took me into their group, I was totally welcome, we were buddies. I know that they broke up not long after this phase…when they got back, they started having difficulties withing the group mainly because of changes…their relationships were changing but at the Ashram, it was absolutely clear that these four people were brothers. They were very tight. And it was also clear, although they were in various forms of closeness with their wives or partners, it was kind of obvious that they (wives and partners) were part of the outer circle, The Beatles were the inner circle. Not in terms of status…they were like brothers. The wives and partners were the next outer circle, then the friends, this was not conscious, you could just see and feel this. It was palpable. It reminds me of the time they first came to New York, when they had the whole floor of a hotel and after their big concert at a jam-packed stadium, the whole thing was so mind-blowing even to them, the story goes that all four - John, Paul, George and Ringo - went into one bathroom so they could smoke and just be together. Remember, they had the whole floor to themselves. So what does that tell you, it tells you that for a moment they needed to go back in the room…just them, that’s what I saw in Rishikesh that one week. I took out my camera only twice in that one week with them. They all had their own cameras, it was like a family picnic. I took 72 pictures, I could have taken 300 but I did not. I asked each of them individually whether I could take some pictures and they said, Oh sure, go ahead and there was never any posing, even when they were looking in the camera. I never called out to them before I clicked, they just let me be. 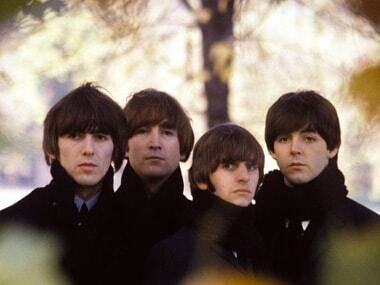 Some of the experts call my pictures the best intimate pictures ever taken of The Beatles, but I think it’s because we never wanted anything from each other. They are just pictures of stunningly creative people hanging together. I am planning a movie on The Beatles, I have all the pictures…if only Apple Records would give me the rights to use their music, I can get started. There was one day when John (Lennon) and I were sitting alone at the table. He looked up at me and said, “So how come you’re here?” I wondered about what I wanted to say and then I thought well, why not? I said “heartbreak, meditation…” and he said “Yeah, love can be very tough on us, can’t it. I said “Yeah.” Then he said “You know the really great thing about love, Paul, is you always get a second chance.” I thought he was talking about me and he was but he was also talking about himself and Yoko Ono. I realised this much later… he was falling in love with her (Ono) although he was here (in Rishikesh) with Cynthia. We were in his meditation room, and we were just talking. George was a man of profound humility, he was 24 years old, I was 24, he was the superstar but he was a man of kind heart. He said to me, and these were his exact words : “Like, we are The Beatles after all, aren’t we? We have all the money you can ever dream of, we have all the fame you can ever wish for, but it’s not love, it’s not health, it’s not peace inside, is it? That’s why they were there, they were there to find the peace inside. I left in a week, Ringo left on the same day. 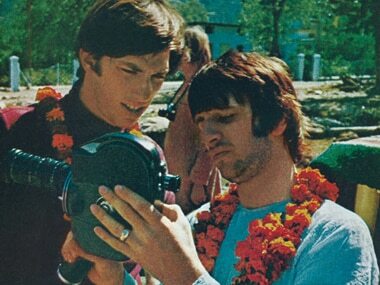 Just before we got into our cabs, John turned to me and say, Hey Paul will you send us some of your pictures and I said, “Sure.” Ringo and I left in separate taxi cabs from the Ashram but half way down, we both stopped to get a drink of Fanta, and then went our separate ways. Paul Saltzman is a two-time Emmy Award-winning film and television producer-director with more than 300 films, both dramas and documentaries, to his credit. 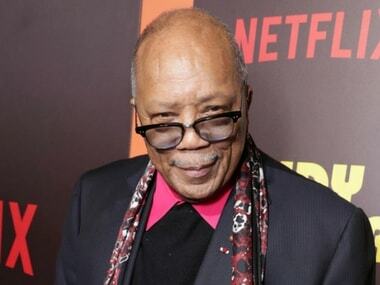 The 2008 documentary feature, 'Prom Night in Mississippi', featuring actor Morgan Freeman, premiered at the 2009 Sundance Film Festival. Saltzman will be leading an ‘India with Paul Saltzman’ tour in October 2016, which will also stop by at Rishikesh.